Luxaflex® Ultimate Screen offers a high performance solution for heat and light control. The system is engineered for ease of installation, flexible application and long durability. Our external fabrics are colour fast, tear, rot and heat resistant and dimensionally stable. Luxaflex® Ultimate Screen help establish the look and feel of a building. From small offices to the largest towers, made-to-measure external sunscreen will enhance the comfort and appearance of any building. Recent advances in textile development have greatly increased the quality of high-performance external fabrics. Luxaflex® allows architects and designers to take a no-compromise approach to specifying external roller blinds that can be used when you need them. 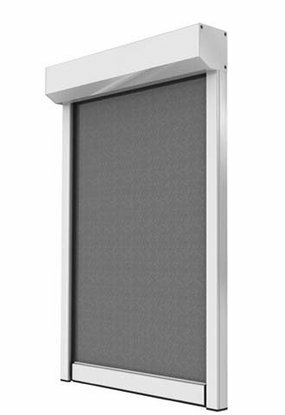 Luxaflex® Ultimate Screen feature a head boxes to meet the design, functionality and performance specifications of any window. Exclusive components make them simple to install, connect and operate in windy conditions of up to – Certified wind class 3 (49 km/h); durable and trouble-free operation. Luxaflex® Ultimate Screen have a patented design which allows safe and easy frontal click fixation of the head box to the small prefixed side guiding channels and that reduces installation cost. Luxaflex® Ultimate Screen are designed to improve indoor environmental quality and conserve energy. These systems help create built environments that are comfortable, healthy, productive, and sustainable. Our engineering and production processes minimize embodied environmental impact while meeting the highest standards for commercial, hospitality, industrial, institutional and commercial applications. In order to obtain the optimal shading performance for a building and its occupants we developed compute simulation and calculation tools. Luxaflex® Ultimate Screen are specially designed for long lasting use in specified wind loads of up to 49km/h. Welded zippers on the screen fabric keep the fabric and bottom rail stable inside the side guiding profiles and ensure that the blind remains functional despite slight wind loads. It therefore also allows installation on high buildings and in corner situations with elevated wind levels. 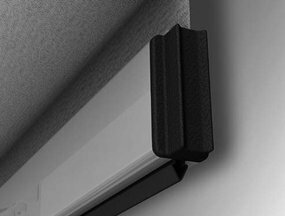 Contrary to a standard external roller blind, the screen does not need to be retracted with wind loads of up to 49km/h. In addition, the ZIP screen technique prevents hindering light from lateral openings and provides protection against insects. The motorized Ultimate Screen system is available with a chamfered head box for dimensions up to 4,300 mm wide and 5,000 mm high (max. 15 m2). 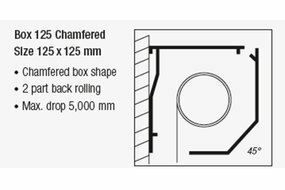 The watertight head box provides maximum protection against weather influences and has a removable aluminium front cover profile for easy maintenance. 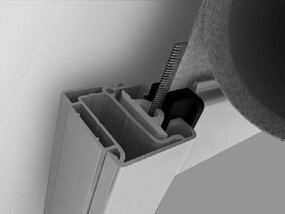 Last but not least, a patented design allows safe and easy frontal click fixation of the head box to pre-installed side guiding profiles. Colour choice for the Head box and hardware is White [powder coated], Grey [Natural Anodized] & Bronze [Bronze Anodized]. Head box with invisible connection fixed to top of side guiding profiles, made of extruded aluminium, housing the complete mechanism and screen fabric. Ultimate Screen is standard motorized. Due to the weight and height, the installation of large motorized cassette blinds can already be a challenging task. In addition, the façade construction may hinder the standard installation of a box on top of pre-installed side guides. The patented construction of Ultimate Screen allows frontal click installation of the head box in the side guides. In face fix situations, the head box does not need to be installed on top of the side guides first. 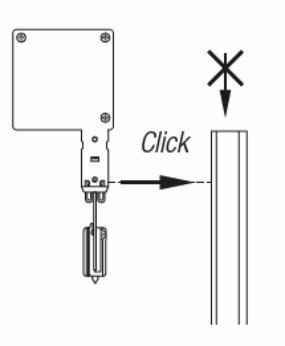 This keeps the side guiding profiles small and above all makes the Ultimate Screen very easy and safe to install. Solid weatherproof end plates support the motor head and end bearing. They are made of a special die cast metal alloy and receive an anti-corrosive pre-treatment before being RAL powder coated in the same colour as the box, side channels and bottom bar profiles. 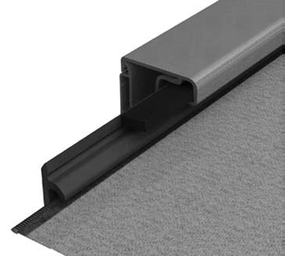 Very small extruded aluminium side guiding channels of 37 × 38 mm keep the fabric and head box in position. With engineered plastic inserts for smooth fabric and bottom rail guiding. 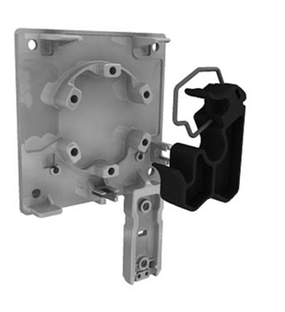 The seamless side guiding channels without visible screws allow quick and safe front installation of the head box. Fixed ‘in recess’ or ‘on face’ of the window. Colour coordinated with the rest of the system. 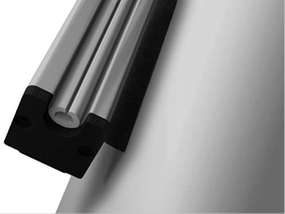 The bottom bar of 22 × 48 mm is made of extruded aluminium. Extra steel weights provide additional tension on the fabric to ensure free rolling under the specified wind conditions. The fabric is attached to the bottom rail with a spline. To close possible light gaps, the bottom rail is finished with a black and soft rubber seal. In rolled up position, the rail is partly concealed in the head box. 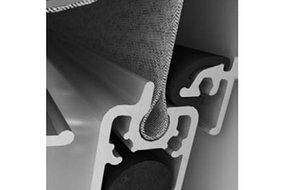 For fixing with screws, the side channel profiles are provided with standard holes in accordance with the factory standard. The maximum distance between two holes should never exceed 1 meter. The side channels are standard supplied without seals.